A 360 view of The Dove, Hammersmith in London, this quiet beautiful pub boasts of being one of the oldest in London. It’s practically next door to the humble home of William Morris (Kelmscott House Museum) that Siobhan Wall also suggested. Adventuring to the two together was well worth the endeavor. Quiet London lists the Tate, and unlike the Tate Modern this museum is absent the crowds. 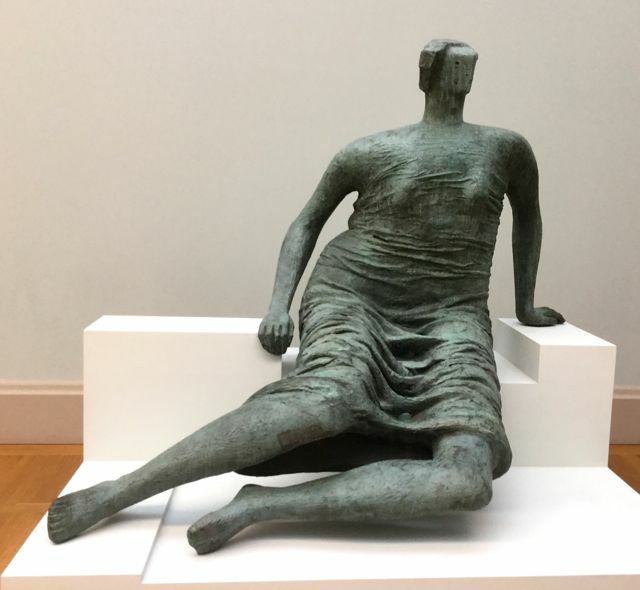 It’s also bursting with gigantic Henry Moore statues, and rooms of delightful British painters like Stanley Spencer, Paul Nash, and Walter Richard Stickett. I’ll confess that I’d be happy to avoid big cities when traveling. Smaller towns to me so often feel more humane, easily manageable and connected to the people of the community. With that said listening to a Rick Steve’s Program two weeks prior to running amock in France and England with 20 students in May I was introduced to Siobhan Wall and her books Quiet Paris and Quiet London. I had them shipped to me ASAP before leaving. What a relief her suggestions were in the hubbub of these gigantic urban centers of 2.2 and 8.3 million respectively. Listing places of worship, bookshops, museums, gardens, cafes, pubs, galleries, shops, libraries and restaurants. Her suggested locations came across as authentic, local and sincere. 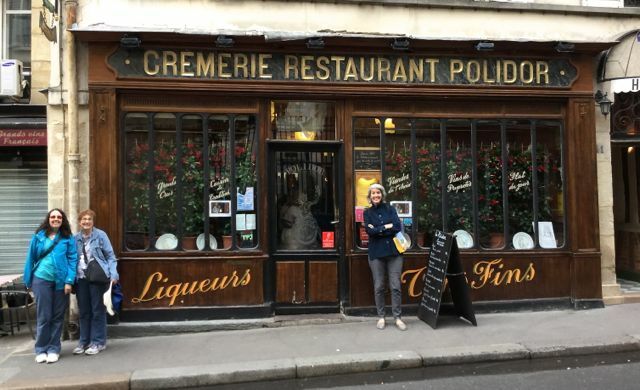 Siobhan’s recommended shops were absent of trinkets of the Eiffel tower or Big Ben, and the restaurants she advised one to visit had good and interesting food without large televisions blaring on the wall. I never felt she steered me wrong. The only thing I wish she had was maps her books so I could of easily found what suggested places were close to other locations. Greensmiths in London was just a treat for lunch with fresh sandwiches, quiche, salads, and the like. 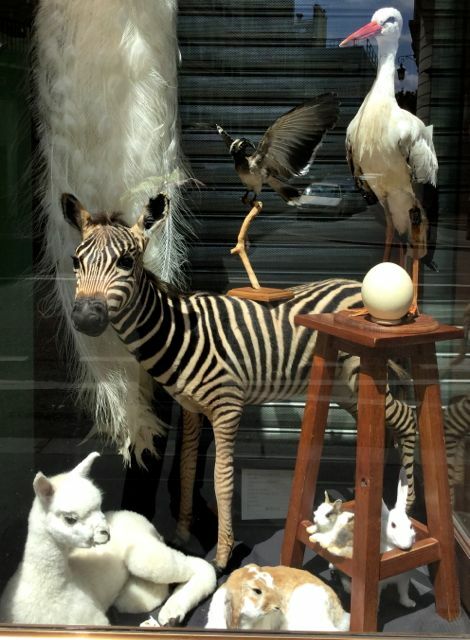 Deyrolle, a taxidermy shop for over 180 years in Paris was on her list, unfortunately I was only able to drop by when it was closed. The window still was well worth the peek! In Paris I had a very adventurous group of students with me that traipsed all over the map to Siobhan Wall’s suggestions: a bustling ramshackle bookstore (Shakespeare and Co), a great store of vintage tchotchkes in a hoot of a neighborhood (Au Petit Bonheur La Chance), a shop where all the goods were made by nuns and monks (Artisanat Monastique), a delightful hand made ceramic studio in a beautiful neighborhood (La Tuile a Loup), and an extraordinary stationary store (Ecritore). We attempted to end our adventurous day with a restaurant Siobhan suggested, L’Estaminet des Enfants Rouges. Roaming the streets looking for the address the students saw a brasserie ending in “Enfants Rouges” and dove in saying, “This is it!” our feet weary from our day of walking ten miles all over Paris. As I looked around at the T.V.s and drone of blaring music, I said “This can’t be it, Siobhan would never list a place like this!” I darted outside but still couldn’t find the placed she listed, and desperate for food we simply ate. Once done, I told the students, “There is a really interesting indoor farmers market next door, we should go over and check that out.” We did, only to find it closing and the pub of our longings in the back corner. Darn it…. Well, next time I’m in Paris I’ll know where I’m going. 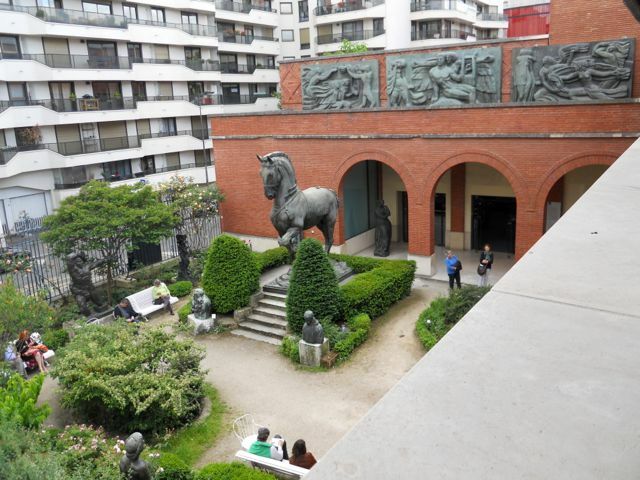 Found in Montparnasse, Musee Bourdelle, was one of my favorite finds she suggested. Likely the only non-French person there, I found the French sculptor Antonine Bourdelle’s (1861-1929) studio, work and home to be inspiring. Pick up the books – they’re a wonderful breath of fresh air. She also has one for Amsterdam and New York, let’s just say if going to those locations two books will be added to my library. Near Luxembourg gardens and open since 1845 Polidor was a haunt of Victor Hugo and Hemingway and the like. In this photo, my colleague Caitlin, her mother and our friend Elizabeth wait for a table. A French man wanting to grab a seat but seeing the line that formed about ten minutes later left abruptly muttering loudly, “Tourists!” Well, if you lived there after awhile Paris likely would be a bit of a love/hate relationship I am sure. A shelf of vintage characters of old, I had a hard time pulling students and myself out of the Paris shop Au Petit Bonheur La Chance. Let’s just say I bought a little someone that likely will appear in a piece in the future. This entry was posted in A good read, Go Here! : and tagged quiet London, quiet paris, Siobhan Wall, traveling in Paris, travling in London. Bookmark the permalink. Hiya, Tim. Love seeing your comments about Jrs. Abroad. Fun times were had by all, huh? 🙂 Jack.